We are #PasifikaProud of Zanetta Toomata who is doing a summer studentship at University of Auckland with Maurice Wilkins Centre for Molecular Biodiscovery studying potential impacts of Māori and Pacific specific #gene variants on protein function and potential risk of metabolic diseases. Read her bio below! Aloha! My name is Zanetta, and I recognize the town of Kailua-Kona on the Island of Hawai’i as my home. At the shy age of just 11 years old, I began attending a private boarding school for indigenous Hawaiian students known as Kamehameha Kapālama High School. From this experience of attending Kamehameha Schools from the age of 11 to 18, I had gained numerous invaluable lessons about who I was as a member of the Lāhui, and more importantly my responsibility to contribute to the Pacific community. From that point forward, I had it engrained in me that wherever I ventured to globally, I would learn and excel in the field of my choosing, and then with that return home to implement what I had learned in my local community. The field of my choosing, Genetics, has always interested me, not only because it fascinates me that today humans can manipulate the blueprints to all life, but that there are endless possibilities to using genetic information in diagnosing, treating, and preventing illnesses and diseases that ail our communities. Since leaving Hawaii, God willing, He has opened up the door for me to currently take part in a summer studentship at the University of Auckland. 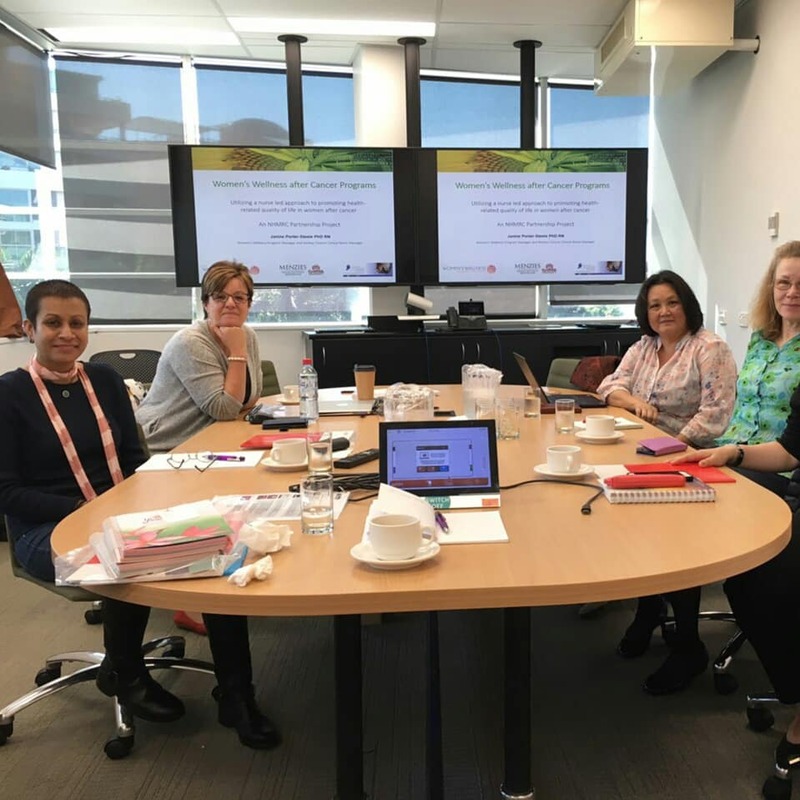 This biomedical research project aims to investigate the potential impacts of Māori and Pacific specific gene variants on protein function and potential risk of metabolic diseases. Down the line, prioritization of these gene variants can allow for the development and testing of probes on DNA samples given by willing participants of the Pacific community. Seeing that I am set to finish my last year for my Bachelor of Science in Genetics, I hope to continue my research in this pressing area into my Master’s, where according to the New Zealand Health Survey (2017/2018), 65% of Pacific adults were obese. I am beyond grateful and proud to take part in the research that seeks to answer the questions set forth by this pressing issue prevalent in the Pacific community, and I hope to continue in answering these questions for the betterment of the Lāhui. I am currently a 1st year PhD student at the University of Auckland carrying out research in the field of Cancer Immunotherapy at the School of Biological Sciences. Cancer immunotherapy is an area of research that has gained much traction in recent years due to its successes in developing clinically relevant results and greater hope for those affected. My research involves adoptive immunotherapy in that we aim to enhance the patient’s own immune system to counter-attack the deadly disease. This adoptive approach requires the isolation of certain cells of the immune system, in particular T lymphocytes, enhancing them in the lab using cutting edge technology known as CRISPR-Cas system before re-infusing them back into the patient. The approach hopes to overcome challenges faced by current forms of cancer treatment such as drugs, surgery, chemotherapy and radiotherapy, which can have adverse side effects. I developed a desire to pursue this field of research in the early stages of my Master’s research with the hope of being able to give back to my community and country, and to better the quality of life for those affected. This area of research is under-represented by our Pasifika people so the need for more Pacific researchers is great. I have been fortunate to be a recipient of a University of Auckland Doctoral Scholarship and a Health Research Council PhD Scholarship enabling me to pursue this dream and contribute where I can. I am also fortunate to be a part of a well-established and well-supported lab ensuring the development of quality research. My goal is to produce clinically relevant research outcomes that will benefit the Pacific community and wider New Zealand. We look forward to what the future holds for Chris, and support him on his future endeavors! We are #PasifikaProud of Middlemore Hospital paediatric medical ward nurse Annie Stevenson, who is a joint winner of the New Zealand Nurses Organisation award last night at the annual NZNO Young Nurse of the Year 2018. We reached out to her and asked her about herself and what inspires her work. Annie was kind enough to send us the lovely message below. Thank you Annie for all of your hard work, you are such an inspiration! My name is Annie I am a New Zealand born Niuean, proud to represent the village of Avatele, I am also proud to represent my husband and his family who are Samoan. I am the youngest of 4 children and was born had raised in Auckland. Like most pacific families who came to New Zealand in the 70s-80s, my grandparents bought a house in Ponsonby, where we lived until I was 5; we then moved to South Auckland where we have resided since. I am currently working as a registered Nurse at Kidz First Medical in Counties Manukau DHB, where I have been working for the past 5 years. As most Pacific Island families, God is always at the centre of every family. Growing up my parents always taught us the promises that God has for our lives and as a firm believer, he has been the foundation of where I am today. I believe that my faith in God has opened the many doors in my nursing career, which I am always so thankful for. I have also been fortunate enough to be surrounded by extended family members who share the same passion as me and are also health professionals. My journey to nursing began in 2009 at University of Auckland, I started with Certificate of health science under MAPAS and then went on to do my Bachelors is 2010. In 2013 I was so excited to finally graduate and receive my nursing degree. I was fortunate enough to then get a new graduate position at Kidz First. Unfortunately after my new graduate year there were no permeant positions available. Therefore I spent 3 months working in the neonatal unit which I thoroughly enjoyed and gained so much more knowledge and skills. However I then found myself back at Kidz First Medical where I had gained a permanent position. As I reflect on the last 5 years and how my career has progressed, I didn’t think I would find myself as NZNO joint winner of Young Nurse of the year. Being able to go to university and graduate is an achievement in itself, so to be awarded such a prestigious award is an honour and I am truly humbled to have been named one of the winners. I have always enjoyed working with children, although when I was in my last year of University I actually wanted to work with older people but when I did my child health placement, I knew that this is where I wanted to start my nursing career. When I had won the award I knew that It wasn’t just my own, I couldn’t take all the credit as this award also is a reflection of the amazing team at Kidz First who have always supported and encouraged me throughout my nursing career. Being able to be part of the projects that have been mentioned such as Lungs4Life, improving VIP screening rates and I.N.F.A.N.T.S (my volunteer work in Kiribati) has really helped to shape and develop my perceptions in Nursing and how valuable nurses are to the healthcare system. I have found a deeper passion for ensuring that we provide the best care for all children and their families especially for our Pasifika and Maori population as they at the forefront of most statistics. I will continue to do the work on my current projects and continue to make a difference in our community. I would like to encourage our Pasifika nurses that their identity will always be a special part of their nursing career, to aim high and enjoy the journey of nursing. I would also like to acknowledge my family for all their support and love, they have always been my number one supporters and for that I am truly grateful. We are #PasifikaProud of Fepulea'i Margie Apa who has been appointed Chief Executive Officer for Counties Manukau District Health Board! Ms Apa said “It is a privilege to be able to bring my many years of experience to serve in an important role in the very community I grew up in." Congratulations on the new role! Read more about her appointment and role here! 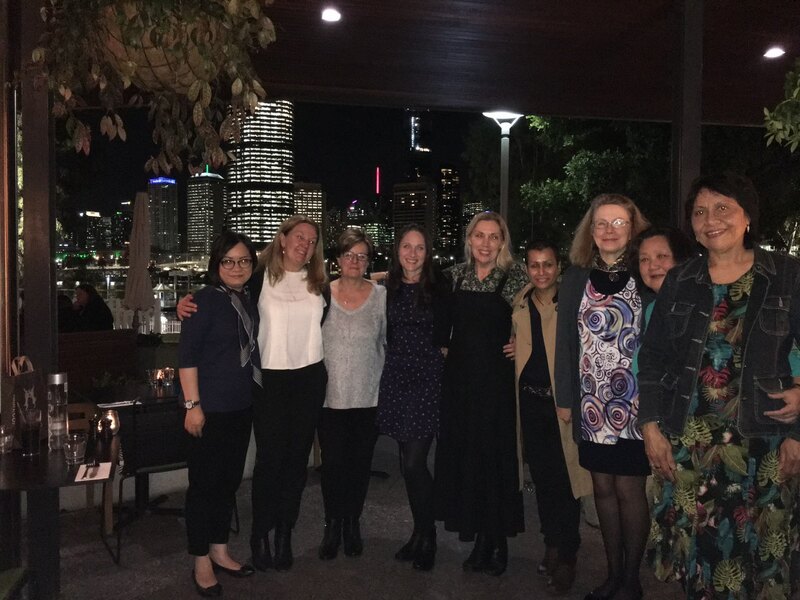 So exciting to meet up with our dear sister and colleague, Heena Akbar, at the 2-days Women's Wellness after Cancer Program research team meeting in Brisbane. Heena will be graduating with a Doctor of Philosophy from Queensland University of Technology's Faculty of Health on 26 July 2018. Her thesis is entitled, " Socio-cultural context of managing type 2 diabetes in Australian Pacific Islander women living in Queensland." Congratulations Dr Heena Akbar, we are PasifikaProud of you! Jack Te Huna wants to share how #PasifikaProud he is of his two sons, James and Tama for all of their hard work in and out of the gym! You both are great #rolemodels in the #PasifikCommunity, way to #represent-we are #PasifikaProud of you too! These young women sing a beautiful rendition of the New Zealand National Anthem, and make their community proud with their performance. We look forward to hearing more of their work in the years to come! Congratulations to The University of Waikato, a collaborating institution of the Maurice Wilkins Centre for Molecular Biodiscovery, for launch of their Pacific Plan (read more below). 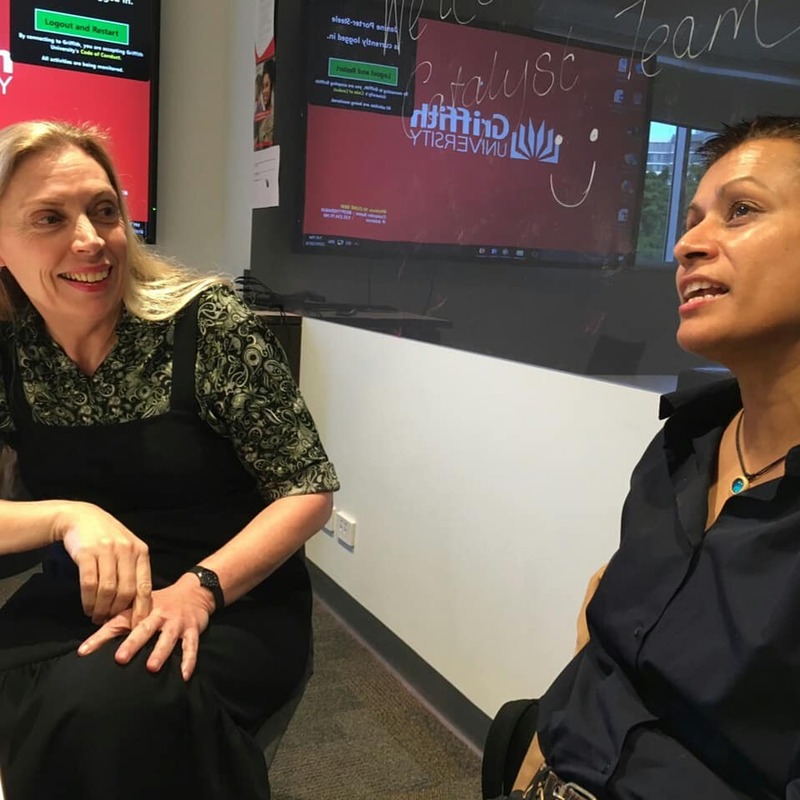 A new major in #Pacific and #Indigenous Studies was introduced this year and The University of Waikato is in the process of appointing an Assistant Vice Chancellor Pacific. 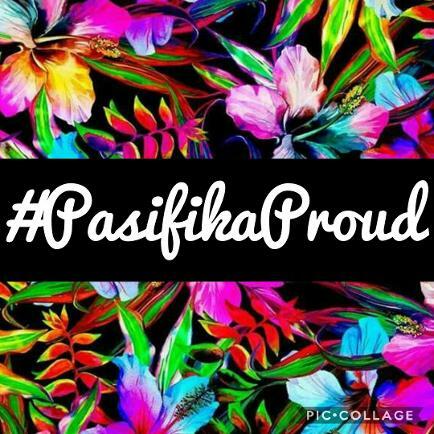 We are #PasifikaProud of you! The Pacific Plan was developed through consultation with staff, students, committees and other groups and was adopted by Academic Board in June 2017. Responsibility for coordinating the activities necessary to deliver the plan, and for associated monitoring and reporting, rests with the Deputy Vice-Chancellor Academic. The Pacific Plan aims to ensure that the University builds on its teaching and research endeavours to meet the aspirations, needs and priorities of Pacific peoples. Read the full Pacific Plan 2017-2020. We want to profile Malcolm Andrews, as part of our #PasifikaProud series. Originally from the villages of Wainaloka, Vagadaci, Makolei and Kasavu (Savusavu) in the Fiji Islands, Malcolm completed his tertiary studies in Health Science Double Major in Psychology and Health Promotion at Auckland University of Technology. Malcolm is strongly passionate about youth empowerment and workforce development with the aim of achieving an equitable workforce. He currently works with the Pacific health team at Waitemata and Auckland District Health Boards. Malcolm and his team were able to set up the Health Science Academies with the aim of increasing health workforce where Pacific people are under-represented. When asked about his upbringing, Malcolm said his journey began in the village where life was all about surviving, where they never had much but were satisfied with what they had. Growing up, Malcolm constantly witnessed majority of our youth dropping out of school to return to the village and farm the land. Only a few broke through and changed the cycle of living for their families. People used to believe in the illusion that they were not good enough, not smart enough to thrive. But Malcolm saw otherwise, that his people weren’t failing at school; it is the system that is failing them. They were forced into a system that did not address the way they learned or allowed them to thrive. Malcolm X once said “If not now then when, if not me then who?” This is where Malcolm got his passion and drive from. "With my line of work, it is the students that motivate me. They are the reasons why I get up every morning excited to face a new day. I am blessed to be working with Pacific students from single parent households, students with parents who recently passed on, students who come to school worried about their next meal, students who will be the first in their family to complete high school, and students who constantly doubt their potential. These are the stories I carry with me, stories that keeps my passion burning. The best motivational speeches I’ve ever heard are the ones that tell me I cannot do anything in life. These words drive and make me more determined in life. Never let anyone tell you that you’re not good enough, you create your own story and let history remember you." Keep up the great work Malcolm, we are #PasifikaProud of you! 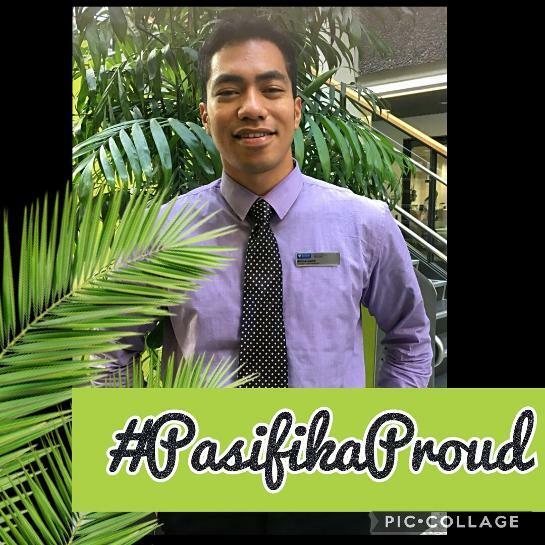 We want to profile Amosa as part of our #PasifikaProud series for all of the hard work he has done and continues to put into his studies at university. Amosa is a 4th year Optometry student at the University of Auckland, and is originally from Lefaga and Avao in Samoa. He admits that the start of his studies was difficult but says he's "come to really enjoy [his] studies now that [he's] practicing and interacting with real patients in the clinics." Amosa says his motivations comes from the hope of him returning to the islands to bring eye care to individuals who would not typically have access to such care. He also hopes to inspire other young minds to join the health care sector to help build a stronger community of Pacific health professionals! Keep up the great work Amosa, we are #PasifikaProud of you! Elaina Lauaki-Vea has been nominated by her mum, Christine Sullivan, in our #PasifikaProud series. 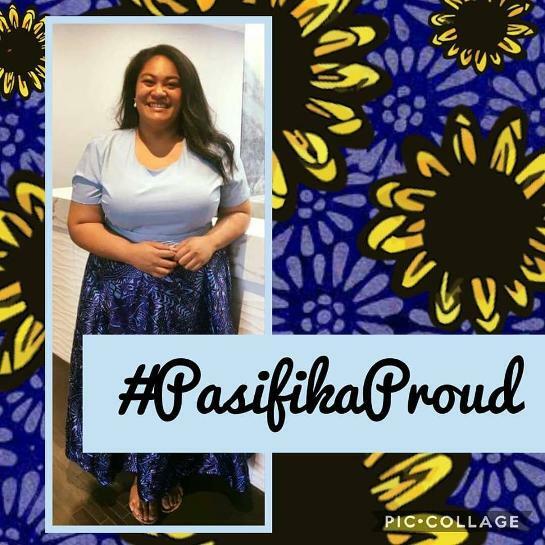 Christine wanted to share with the world how proud she is of her daughter because of the "achievements and changes she is helping to put in place on behalf of all Pasifika people" through her job as a Policy Advisor for the Ministry for Pacific Peoples (MPP). Although Elaina has faced her share of adversity, her mum states she has "studied and worked extremely hard over the last few years to achieve her current position." Christine went on to say how Elaina absolutely loves and is honoured to be given this opportunity! Previously Elaina was part of the team that ran the university wide campaign called ‘I Too Am Auckland’ which focused on discrimination of Pacific and Māori students on the University of Auckland campus and ways to improve the student culture there. She is a strong believer in raising the next generation to break stereotypes and support them to be bold in the careers they pursue because she feels "it is never just for you, it is always for the good of those connected to you; past, present and future." Elaina graduated from the University of Auckland with a Bachelor of Arts in Politics and Sociology, with a focus on ethnic minorities and class inequalities. Born and raised in New Zealand in Tauranga, Bay of Plenty, Elaina is of Tongan descent from the villages of Felemea, ‘Uiha and Faleloa Ha’apai. Keep up the great work Elaina, we are #PasifikaProud of you! Professor Merriman of the Maurice Wilkins Centre for Molecular Biodiscovery and University of Otago's Department of Bio-Chemistry - we are #PasifikaProud of you! Professor Tony Merriman, research scientist on our project investigating the difference in fructose absorption in Pacific adolescents, recently gained a Fulbright NZ Scholar Award to undertake research in the United States of America. He will investigate the genetic basis of urate control and gout in African-Americans at the University of Alabama. Gout is of important relevance to New Zealand and Pacific island nations because of its association with non-communicable chronic conditions such as diabetes, heart disease and kidney disease. Fullbright NZ Scholar Awards are for academics, artists and professionals to lecture and or conduct research at US institutions. Their aim is to promote educational and cultural exchanges between NZ and the US. We wish Professor Merriman our very best! We are delighted to share a profile on Alexandra Pitcher's mother, Juliana Pitcher on this Valentine's day as part of our #PasifikaProud series. We wanted to highlight people in the community for their greatness, and were moved by Alexandra's email to us. Alexandra nominated her mum to be mentioned because of how her mum inspired Alexandra to join the pageant industry, and motivated her to pursue a career that would allow her to preserve and share her culture. Juliana Pitcher was the youngest ever Miss Western Samoa, at only 16, and then Miss Teuila, followed by Miss South Pacific (Miss Pacific Islands) and was in the top 15 in Miss World! Below is an excerpt from the email we received. She's made me proud of my [Samoan] heritage because she always emphasized that cultural identity, was as much part of you as your own name. It's something to be embraced and celebrated and appreciated in its' entirety... Nonetheless, I am proud of my ocean blood. So much so that my cultural heritage on both sides have been pivotal in my ventures of life. I now study creative writing and journalism because I aim to write about Pacific culture; their stories, epics, legends, songs, dances and so forth. In a way, I want to preserve what I've learned, what knowledge has been passed down to me by my parents, my grandparents and so forth, to keep the authenticity of such culture-rich places. My mother's echoing presence in the Pacific, is a reminder for me that using the same platform that she has, will give me a voice. The voice that will make my words, be heard. Thank you Alexandra for your moving words, and also thank you Juliana for sharing and instilling your beautiful culture with your daughter, she has a very bright future ahead of her!